French JR (2018) Geomorphology and sedimentology of tidal saltmarshes. In: Perillo GMR, Wolanski E, Cahoon DR, Hopkinson CS, (Eds.) Coastal Wetlands: An Integrated Ecosystem Approach (2nd edition). Elsevier Science 479-518. French JR, Mawdsley R, Fujiyama T, Achuthan K (2017) Combining machine learning with computational hydrodynamics for prediction of tidal surge inundation at estuarine ports. Procedia IUTAM 25, 28-35. French JR, Burningham H, Thornhill G, Nicholls RJ (2016) Integrating estuarine, coastal and inner shelf sediment systems in a common conceptual framework as a basis for participatory shoreline management. In: Meadows M, Lin J-C (eds.) Geomorphology and Society. Springer, 245-277. Hanson SE, French JR, Spencer T, Brown I, Nicholls RJ, Sutherland WJ & Balson P (2015) Evaluating broadscale morphological change in the coastal zone using a logic-based behavioural systems approach. In: RJ Nicholls, RJ Dawson & SA Day (eds.) Broad scale coastal simulation: new techniques to understand and manage shorelines in the third millennium. New York, Springer, 147-165. Nicholls RJ, French JR, Burnhinham H, Van Maanen B, Payo A, Sutherland J, Walkden M, Thornhill G, Brown J, Luxford F, Simm J, Reeve DE, Hall JW, Souza A, Stansby PK, Amoudry LO, Rogers BD, Ellis M, Whitehouse R, Horrillo-Caraballo JM, Karunarathna H, Pan S, Plater A, Dix J, Barnes J & Heron E (2015) Improving decadal coastal geomorphic predictions: an overview of the iCOASST project. Proceedings Coastal Sediments 2015, San Diego, USA. Burningham H & French JR (2015) Large-scale spatial variability in the contemporary sand and gravel resource, Suffolk, eastern UK. Proceedings Coastal Sediments 2015, San Diego, USA. French JR & Burningham H (2015) Wave-driven sediment pathways on the gravel-dominated Suffolk coast, Suffolk, eastern UK. Proceedings Coastal Sediments 2015, San Diego, USA. Thornhill, G, French JR & Burningham H (2015) ESTEEM – a new ‘hybrid complexity’ model for simulating estuary morphological change at decadal to centennial scales. Proceedings Coastal Sediments 2015, San Diego, USA. Mohajeri N, Gudmundsson A & French JR (2015) CO2 emissions in relation to street-network configuration and city size. Transportation Research Part D: Transport and Environment 35, 116-129. Burningham H & French, JR (2014) Travelling forelands: complexities in drift and migration patterns. Journal of Coastal Research SI70, 102-108. French JR & Burningham H (2013) Coasts and climate: insights from geomorphology. Progress in Physical Geography 37, 550-561. Mohajeri N, French JR & Gudmundsson A (2013) Entropy measures of street-network dispersion: analysis of coastal cities in Brazil and Britain. Entropy 13, 3340-3360. Burningham H & French JR (2013) Is the NAO winter index a reliable proxy for wind climate and storminess in northwest Europe? International Journal of Climatology 33, 2036-2049. Mohajeri N, French JR & Batty M (2013) Evolution and entropy in the organization of urban street patterns. Annals of GIS 19, 1-16. Cea L & French JR (2012) Bathymetric error estimation for the calibration and validation of estuarine hydrodynamic models. Estuarine and Coastal Shelf Science 100, 124-132. Nicholls RJ, Burningham H, Dix J, French JR, Hall JW, Reeve D, Souza A, Stansby PK, Sutherland J, Walkden M & Whitehouse R (2012) iCOASST – Integrating Coastal Sediment Systems. Proceedings International Conference on Coastal Engineering, Santander, 12pp. Singh CR, Thompson JR, French JR, Kingston D & Mackay AW (2011) Modelling alternative water level options for ecosystem service prioritisation and assessment of climate change impacts, Loktak Lake, northeast India. Hydrological Sciences Journal 56, 1518-1542. Spencer T, Friess DA, Möller I, Garbutt RA & French JR (2011) Surface elevation change in natural and re-created intertidal habitats, eastern England, UK, with particular reference to Freiston Shore. Wetlands Ecology and Management 20, 9-33. Burningham H & French JR (2011) Seabed morphodynamics in a large coastal embayment: 180 years of change in the Greater Thames estuary. Hydrobiologia 672, 105-119. French JR & Burningham H (2011) Coastal geomorphology. Progress in Physical Geography 35, 535-546. Hanson SE, Nicholls RJ, Balson P, Brown I, French JR, Spencer T & Sutherland WJ (2010) Capturing coastal geomorphological change within regional integrated assessment: an outcome-driven fuzzy logic approach. Journal of Coastal Research 26, 831-42. Singh CR, Thompson JR, Mackay AW & French JR (2010) Implication of climate change for the restoration of an ecologically driven hydrological regime for Loktak Lake, northeast India. Hydrology and Earth System Sciences 14, 1-21. French JR (2010) Critical perspectives on the evaluation and optimisation of complex numerical models of estuary hydrodynamics and sediment dynamics. Earth Surface Processes & Landforms 35, 174-89. Barrett-Mold C, Burningham H & French JR (2009). Stratigraphic insights from sedimentary peels of littoral estuarine depositional systems. Journal of Coastal Research SI56, 584-8. French JR & Burningham H (2009). Restoration of an eroded estuarine foreshore using cohesive dredge material, Orwell estuary, UK. Journal of Coastal Research SI56, 1444-8. Burningham H & French JR (2009). Historical seabed mobility in an outer estuary - sea basin environment. Journal of Coastal Research SI56, 589-93. French JR & Burningham H (2009) Coastal geomorphology: trends and challenges. Progress in Physical Geography 33, 117-29. Burningham H & French JR (2009) Seabed mobility in the greater Thames estuary. London, Crown Estate. ISBN 978-1-906410-09-4. French JR & Burningham H (2009) Mapping the connectivity of large scale coastal geomorphological systems: Coastal system mapping with CmapTools tutorial. Science Report – SC060074/PR2. Bristol, Environment Agency, 25pp. Whitehouse R, Balson P, Blott S, Burningham H, Cooper N, French JR, Guthrie G, Hanson S, Houghton A, Leggett D, Nicholls R, Pye K & Walkden M (2009). Characterisation and prediction of large scale, long-term change of coastal geomorphological behaviours: Final Science Report – SC060074/SR2. Bristol, Environment Agency, 271pp. Whitehouse R, Balson P, Blott S, Burningham H, Cooper N, French JR, Guthrie G, Hanson S, Houghton A, Leggett D, Nicholls R, Pye K & Walkden M (2009). Characterisation and prediction of large scale, long-term change of coastal geomorphological behaviours: Inception Report – SC060074/SR1. Bristol, Environment Agency, 145pp. French JR, Burningham H & Benson T (2008) Tidal and meteorological forcing of suspended sediment flux in a muddy mesotidal estuary. Estuaries and Coasts 31, 843-859. French JR (2008) Hydrodynamic modelling of estuarine flood defence realignment as an adaptive management response to sea-level rise. Journal of Coastal Research 24-2B, 1-12. Burningham H & French JR (2008) Historical changes in the seabed of the greater Thames estuary. Caird-Crown Estate Research Project. London, Crown Estate, 53pp. ISBN 978-1-906410-04-9. Williams A, Townend I, French JR, Reeve DR, Whitehouse R, Wang Z, Morris K, & Surendran S (2008) Development and demonstration of systems-based estuary simulator: EstSim. Proceedings 43rd Flood and Coastal Management Conference. 1-10. Benson T & French JR (2007) InSiPID: A new low cost instrument for in situ particle size measurements in estuaries. Journal of Sea Research 58, 167-188. Burningham H & French JR (2007) Morphodynamics and sedimentology of mixed-sediment inlets. Journal of Coastal Research Special Issue 50, 710-15. Hanson S, Nicholls R, Balson P, Brown I, French J, Spencer T and Sutherland W (2007) Capturing coastal morphological change within regional integrated assessment: an outcome-driven fuzzy logic approach. Tyndall Centre Working Paper 113, 39pp. French JR (with Burningham H, Karunarathna H, Morris K, Reeve DE, Townend I & Williams A) (2007) Development and demonstration of systems-based estuary simulators. London, DEFRA, Project Report FD2117/TR, 247pp. French JR (2006) Tidal marsh sediment trapping efficiency and resilience to environmental change: exploratory modelling of tidal, sea-level and sediment supply forcing in predominantly allochthonous systems. Marine Geology 235, 119-36. Cea L, French JR & Váquez-Cendón ME (2006) Numerical modeling of the tidal flow in complex estuaries including turbulence: an unstructured finite volume solver and experimental validation. International Journal for Numerical Methods in Engineering 67, 1909-32. Burningham H & French JR (2006) Morphodynamic behaviour of a sand-gravel ebb-tidal delta: Deben estuary inlet, Suffolk, UK. Marine Geology 225, 23-44. French JR & Burningham H (2006) Methods and software tools for estuary behavioural system simulation. London, DEFRA, FD2117 Project Report 4, 105pp. French JR, Benson T & Burningham H (2005) Morphodynamics and sediment flux in the Blyth estuary, Suffolk, UK: conceptual modelling and high resolution monitoring. In: J Knight & D Fitzgerald (eds.) High resolution morphodynamics and sedimentary evolution of estuaries. New York, Springer, 143-71. Nicholls RJ, Hansen S, Balson P, Brown I, French JR & Spencer T (2005) Capturing geomorphological change in the coastal simulator. Final Report from Tyndall Research Project T3.42.Tyndall Centre Technical Report 46, 70pp. French JR (ed.) (2004) Critical concepts in coastal geomorphology. London, Routledge, 566pp. ISBN 0-415-27611-X. French JR & Burningham H (2003) Tidal marsh sedimentation versus sea-level rise: a southeast England estuarine perspective. In: NC Kraus & WG McDougal (eds.) Coastal Sediments 03. New York, American Society of Civil Engineers, 1-14. 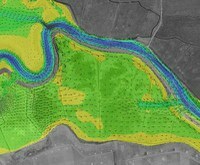 French JR (2003) Airborne lidar applied to estuarine hydraulic modelling. Earth Surface Processes & Landforms 28, 321-35. French JR (2003) Tidal deltas. In: AS Goudie (ed.) Encyclopedia of Geomorphology. London, Routledge, 1052-54. 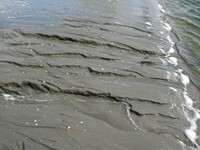 French JR (2003) Mudflats and muddy coasts. In: AS Goudie (ed.) Encyclopedia of Geomorphology. London, Routledge, 704-6. French JR (2003) Saltmarsh. In: AS Goudie (ed.) Encyclopedia of Geomorphology. London, Routledge, 898-900. Möller I, Spencer T, & French JR (2003) Wave attenuation over saltmarshes: implications for flood defence management. Saltmarsh Management Handbook, Environment Agency, Anglian Region. Reed J, Chappell AJ, French JR & Oliver MA (2002) Risk assessment of PCB-contaminated dock sediments using geostatistical techniques. In: A Porta, RE Hinchee & M Pellei (eds.) Management of Contaminated Sediments (Volume S1-2). Battelle Press, Columbus Ohio, 129-36. French JR, Reeve DE & Owen M (2002) DEFRA/EA Estuaries Research Programme – Phase 2 Research Plan. London, DEFRA, 64pp. Möller I, Spencer T, & French JR (2002) Wave attenuation over saltmarshes. R&D Technical Report W5B-022, Environment Agency, Anglian Region, 95pp. Möller I, Spencer T, French JR, Leggett DJ, & Dixon M (2001) The sea defence value of saltmarshes - a review in the light of field evidence from North Norfolk. Water & Environmental Management 15, 109-16. Warren A & French JR (eds.) (2001) Conservation and the physical environment. Chichester, John Wiley & Sons, 356pp. ISBN 0-471-98498-X (pbk) 0-471-98498-1 (hbk). Warren A & French JR (2001) Relations between nature conservation and the physical environment. In: A Warren A & JR French (eds.) Conservation and the physical environment. Chichester, John Wiley & Sons, 1-5. French JR & Reed DJ (2001) Physical contexts for saltmarsh conservation. In: A Warren A & JR French (eds.) Conservation and the physical environment. Chichester, John Wiley & Sons, 179-228. French JR & Spencer T (2001) Sea-level rise. In: A Warren A & JR French (eds.) Conservation and the physical environment. Chichester, John Wiley & Sons, 305-47. Reed J, Chappell A, French JR, & Oliver MA (2001) Geostatistical analysis of contaminated dredged sediment from a UK dockyard. In: P Monestiez, D Allard, & R Froideraux (eds.) GeoEnv III – Geostatistics for Environmental Applications. Dordrecht, Kluwer Academic, 487-97. French JR & Clifford NJ (2000) Hydrodynamic modelling as a basis for explaining estuarine environmental dynamics: some computational and methodological issues. Hydrological Processes 14, 2089-108. French JR, Watson CJ, Moller I, Spencer T, Dixon M & Allen R (2000) Beneficial use of cohesive dredgings for foreshore recharge. Proceedings 35th MAFF Conference of River and Coastal Engineers, 11.10.1-4. Möller I, Spencer T, French JR, Leggett D & Dixon M (2000) A new perspective on the sea defence value of saltmarshes. Proceedings 35th MAFF Conference of River and Coastal Engineers, 11.11.1-4. French CE, French JR, Clifford NJ & Watson CJ (2000) Sedimentation-erosion dynamics of abandoned reclamations. Continental Shelf Research 20, 1711-33. Cahoon DR, French JR, Spencer T, Reed DJ & Möller I (2000) Vertical accretion versus elevational adjustment in UK saltmarshes: an evaluation of alternative methodologies. In: K Pye & JRL Allen (eds.) Coastal and estuarine environments: sedimentology, geomorphology and geoarchaeology. Geological Society of London Special Publication 175, 223-38. 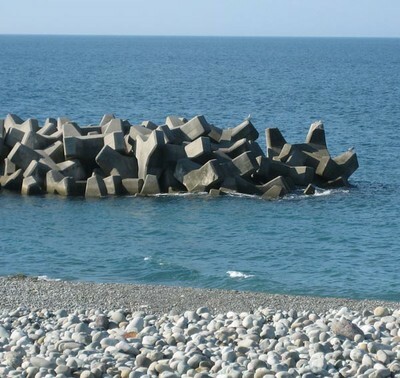 French CE, French JR, Clifford NJ & Watson CJ (1999) Abandoned reclamations as analogues for sea defence realignment: implications for engineering design. In: NC Kraus & WG McDougal (eds.) Coastal Sediments 99. New York, American Society of Civil Engineers, 1912-26. French JR, Watson CJ & French CE (1999) Stability of dredged silt placed on an eroding estuarine foreshore. In: NC Kraus & WG McDougal (eds.) Coastal Sediments 99. New York, American Society of Civil Engineers, 2520-33. Möller I, Spencer T, French JR, Leggett DJ & Dixon M (1999) Wave transformation over salt marshes: a field and numerical modelling study from North Norfolk, England. Estuarine Coastal & Shelf Science 49, 411-26. Reed DJ, Spencer T, Murray AL, French JR & Leonard L (1999) Marsh surface sediment deposition and the role of tidal creeks: implications for created and managed coastal marshes. Journal of Coastal Conservation 5, 81-90. Smith GM, Spencer T, Murray AL & French JR (1998) Assessing seasonal vegetation change in coastal wetlands with airborne remote sensing. Mangroves & Saltmarshes 2, 15-28. Clifford NJ & French JR (1998) Restoration of channel physical environment in smaller, moderate gradient rivers: geomorphological bases for design criteria. In: B Sherwood (ed.) U.K. floodplains. Otley, Westbury, 63-82. Spencer T, Tudhope AW & French JR (1997) Reconstructing sea-level change from coral micro-atolls, Tongareva (Penrhyn) Atoll, Northern Cook Islands. Proceedings 8th International Coral Reef Symposium Volume 1, 489-94. Moeller I, Spencer T & French JR (1996) Wave attenuation over salt marsh surfaces. Journal of Coastal Research 12, 1009-16. Spencer T, Moeller I & French JR (1996) Wind wave attenuation over salt marsh surfaces. In: Sir William Halcrow & Partners (ed.) Management of saltmarshes for flood defence. Bristol, National Rivers Authority, 46-54. French JR (1996) Function and optimal design of saltmarsh channel networks. In: Sir William Halcrow & Partners (ed.) Management of saltmarshes for flood defence. Bristol, National Rivers Authority, 85-95. Clifford NJ & French JR (1996) Criteria for suspended sediment monitoring in river environments: field evaluation of contrasting turbidity sensor types using simulated transport events. Proceedings River 96 Conference, Chicago, Vol. 2, 754-61. French JR (1996) Function and design of tidal channel networks in restored saltmarshes. In: P Gardiner (ed.) Proceedings Tidal 96: Interactive symposium for practising engineers. University of Brighton, Department of Civil Engineering, 128-37. French JR, Spencer T, Murray AL & Arnold NA (1995) Geostatistical analysis of sediment deposition in two small tidal wetlands, Norfolk, UK. Journal of Coastal Research 10, 308-21. French JR, Spencer T & Reed DJ (1995) Sea-level change and coastal landforms. Earth Surface Processes & Landforms 20, 1-6. French JR (1994) Wetland response to accelerated sea-level rise: a European perspective. In: CW Finkl (ed.) Coastal hazards: perception, mitigation and susceptibility. Journal of Coastal Research Special Issue 12, 94-105. French JR (1993) Numerical modelling of vertical marsh growth and response to rising sea-level, Norfolk, UK. Earth Surface Processes & Landforms 18, 63-81. French JR & Spencer T (1993) Dynamics of sedimentation in a tide-dominated backbarrier salt marsh, Norfolk, UK. Marine Geology 110, 315-31. Hands MR, French JR & O’Neill A (1993) Recent reef stress at Cahuita Point, Costa Rica: anthropogenically-enhanced sediment influx or natural geomorphic change?. Journal of Coastal Research 9, 11-25. Spencer T & French JR (1993) Coastal flooding and environmental change. Geography 78, 179-82. Clifford NJ, French JR & Hardisty J (eds.) (1993) Turbulence: perspectives on flow and sediment transport. Chichester, John Wiley, 360pp. ISBN 0-471-98498-1 (hbk). Clifford N, Hardisty J, French JR & Hart S (1993) Downstream variation in bed material characteristics: a turbulence-controlled form-process feedback mechanism. In: J Best (ed.) Braided rivers: form, process and economic implications. Geological Society of London Special Publication 75, 89-104. Clifford NJ & French JR (1993) Monitoring and modelling turbulent flows: historical and contemporary perspectives. In: NJ Clifford, JR French & J Hardisty (eds.) (1993) Turbulence: perspectives on flow and sediment transport. Chichester, John Wiley, 1-34. Clifford NJ & French JR (1993) Monitoring and analysis of turbulence in geophysical boundaries: some analytical and conceptual issues. In: NJ Clifford, JR French & J Hardisty (eds.) (1993) Turbulence: perspectives on flow and sediment transport. Chichester, John Wiley, 249-77. French JR, Clifford NJ & Spencer T (1993) High frequency flow and suspended sediment measurements in a tidal wetland channel. In: NJ Clifford, JR French & J Hardisty (eds.) (1993) Turbulence: perspectives on flow and sediment transport. Chichester, John Wiley, 93-120. French JR & Clifford NJ (1992) Characteristics and ‘event-structure’ of near-bed turbulence in a macro-tidal saltmarsh channel. Estuarine and Coastal Shelf Science 31, 49-69. French JR & Stoddart DR (1992) Hydrodynamics of saltmarsh creek systems: implications for marsh morphological development and material exchange. Earth Surface Processes & Landforms 17, 235-52. French JR & Clifford NJ (1992) Estimation of turbulence parameters in highly unsteady tidal flows. In: RA Falconer, K Shiono & RGS Matthew (eds.) Hydraulic and Environmental Modelling: Estuarine and River Waters. Aldershot, Ashgate, 41-52. Spencer T & French JR (1992) Geomorphologically-informed conservation of coastal depositional landforms and associated habitats. In: C Stevens, JE Gordon, CP Green & MG Macklin (eds.) Conserving our landscape: Evolving landforms and Ice Age heritage. Peterborough, English Nature: 69-73. French JR (1991) Eustatic and neotectonic controls on salt marsh sedimentation. In: Kraus NC, Gingerich KJ & Kriebel DL (eds.) Coastal Sediments 91. New York, American Society of Civil Engineers, 1223-36. Clifford NJ, McClatchey J & French JR (1990) Discussion: Measurements of turbulence in the benthic boundary layer over a gravel bed and comparison between acoustic measurements and predictions of the bedload transport of marine gravels. Sedimentology 37, 161-71. Stoddart DR, Reed DJ & French JR (1989) Understanding salt marsh accretion, Hut Marsh, Norfolk, England. Estuaries 12, 228-36. Earth surface processes and landform morphodynamics, with particular reference to estuarine and coastal systems, tidal wetlands, and sea-level rise. Environmental system modelling, with particular reference to numerical simulation of hydrodynamics and fine sediment transport, complex system models, and data-driven modelling. Environmental instrumentation, including measurement of suspended particulates in estuarine and coastal waters. Coastal and estuarine flood defence management, including the planning of national R&D programmes. History and philosophy of the earth and environmental sciences, with particular reference to coastal geomorphology and the role of models for prediction and explanation. Early work focused on hydrodynamics and sedimentation in tidal wetlands (French JR and Stoddart DR 1992. Earth Surface Processes and Landforms; French JR and Spencer T 1993. Marine Geology; French JR 1993. Earth Surface Processes and Landforms). This evolved into an interest in geophysical fluid dynamics, and research projects on turbulence characteristics in unsteady tidal flows (French and Clifford 1992. Estuarine and Coastal Shelf Science; Clifford NJ, French JR and Hardisty J (Eds.) 1993. Turbulence: Perspectives on Sediment Transport, Chichester, John Wiley, 360pp) and in gravel bedded-rivers. More recent work has been concerned with tidal and meteorological forcing of estuarine fine sediment dynamics and potential sensitivity to climate change (French et al. 2008. Estuaries and Coasts), and the interaction between estuary inlets and coastal processes (Burningham and French, 2006. Marine Geology). Work on environmental system modelling encompasses a broad range of methodologies. Numerical modelling ranges from aspatial mass balance modelling of tidal saltmarsh morphodynamics (French JR 2006. Marine Geology) to high spatial resolution hydrodynamic models that are used to critically investigate estuarine flood defence and sediment dynamics problems (e.g. French JR 2008. Journal of Coastal Research). A recent collaboration is with the School of Civil Engineering in La Coruna, Spain, which has led to work on the evaluation of a new finite volume model and its application to the hydrodynamics of the Crouch estuary, Essex, UK (Cea L, French JR, Váquez-Cendón M 2006. International Journal for Numerical Methods in Engineering). We have also developed a new approach to incorporating bathymetric data uncertainty into shallow water models (Cea L and French JR 2012. Estuarine Coastal and Shelf Science). At the same time, more qualitative mathematical approaches are used for the study of geomorphological system behaviour at larger temporal and spatial scales (e.g. Tyndall Centre-funded Coastal Simulator project; Defra-funded Estuary behavioural system simulator project; ESTSIM project; EA-funded Large-scale geomorphogical system behaviour project). In addition to several large hydrodynamic monitoring campaigns within UK estuaries (Suffolk, Essex), the Coastal and Estuarine Research Unit has also been involved in the development of new instrumentation for in situ measurement of complex suspended the size distribution of suspended particulates in coastal and estuarine waters (Benson T and French JR 2007. Journal of Sea Research). We were also early adopters of airborne LiDAR to provide high spatial resolution data on coastal change and bathymetry (French JR 2003. Earth Surface Processes and Landforms). Much of the work undertaken by the Coastal and Estuarine Research Unit involves the application of engineering geomorphology to flood defence and estuary management problems (e.g. French JR 2008 Journal of Coastal Research). Recent projects include hydrodynamic assessments of the Crouch and Roach estuaries, Essex, UK (for EA); evaluation of the beneficial use of cohesive dredge material for foreshore recharge in the Orwell estuary, (for Harwich Haven Authority); investigation of the effectiveness of coastal saltmarshes in dissipating wave energy in front of sea defences (for EA, in collaboration with CCRU); and lead authorship of the DEFRA/EA UK Estuaries Research Programme – Phase 2 Science Plan. Research on the history of and current trends in coastal geomorphological research is exemplified by JR French (Ed.) (2004) Critical Concepts in Coastal Geomorphology, London, Routledge, 564pp; and French JR and Burningham H 2009. Progress in Physical Geography). Contributions to research methodology have included conceptual frameworks for model-based science (e.g. French JR and Clifford NJ 2000. Hydrological Processes) and the development of more sophisticated criteria for the evaluation of complex numerical models against observational data (French JR 2009. Earth Surface Processes and Landforms; Cea L and French JR 2012. Estuarine and Coastal Shelf Science). My work over the last decade or so has been strongly translational in nature and has influenced thinking within both national agencies and a wider engineering community regarding the challenges posed by climate change at the coast. I have helped shape UK flood and coastal defence policy through my membership of the Defra/EA Flood and Coastal Defence Technical Advisors Group from 2000 through to 2005 and involvement with other national committees, such as the UK Estuaries Advisory Group. 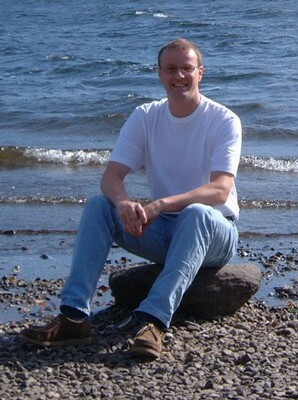 I was lead author of the Defra/EA Estuaries Research Programme Phase 2 Science Plan, completed in 2002. This led to a five-year £3.5M research programme that focused on new approaches to understanding and modelling of broad-scale estuary behavior and response to environmental change. 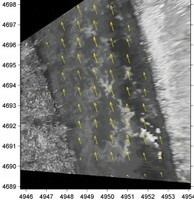 I recently led UCL’s contribution to the £2.9M NERC-funded Integrated Coastal Sediment Systems (iCOASST) project. In addition to developing new numerical models to predict the morphological evolution of our estuaries and coasts over the coming decades to centuries, UCL has developed a new conceptual model (Coastal and Estuarine System Mapping) and with associated software tools that represent the interactions between estuaries, open coasts and the offshore zone more effectively than the coastal cell framework that has informed UK shoreline management since the early 1990s. This iCOASST work has the potential to feed directly into future generations of Shoreline Management Plans (SMPs) and, more generally should lead to a step-change in our ability to predict and visualize how the coast is likely to evolve as sea-level and wave climate changes. I m currently working with colleagues in UCL Civil, Environmental and Geomatic Engineering on a NERC Environmental Risks to Infrastructure Innovation Project, which is developing new methods for refining forecasts of extreme storm surge water levels at estuarine ports. I have undertaken extensive consultancy work, much of it in collaboration with Helene Burningham in the Coastal and Estuarine Research Unit. This has included evaluation of the appropriateness of flood defence setbacks or realignments as an adaptive strategy for mitigating the effects of sea-level in estuaries (clients: Environment Agency; Black & Veatch Ltd; KPAL); the dynamics of offshore tidal bank systems in the southern North Sea, including the implications for wind farm development (clients: Crown Estate, HR Wallingford/Fluor plc); and the beneficial use of cohesive dredging material to restore eroding estuarine shorelines (client: Harwich haven Authority/Environment Agency). I was an expert external reviewer for the IPCC 5th Assessment (Coasts and climate change section), and I was also an invited international expert participant in the Future of the US Gulf Coast Summit, held in New Orleans in 2006, in the wake of the Hurricane Katrina disaster. M Fernandez (PhD 2016) Response of saltmarsh ecoosystems to sea-level rise.